Incident and pain, commemoration and controversy. – Dublin in World War I. 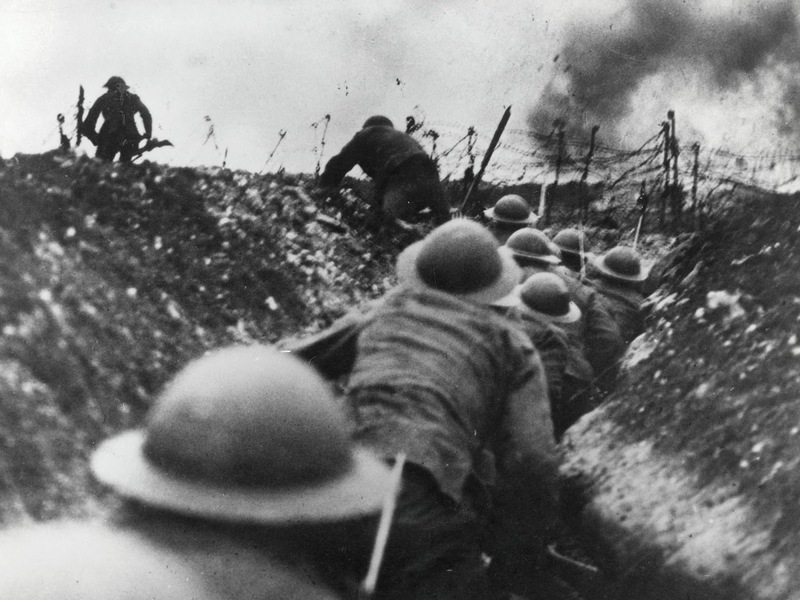 Every year from 2014-2018 is a First World War centenary year. But times are changing. Now after 100 years we in Ireland, perhaps for the first time properly remember and honour our long-dead citizens who fought in the Great War. Why now, “for the first time”? Because, for many years, far too long really, this was an immensely sensitive, painful, conflicted and complex subject for many in Ireland. Many of the surviving 20th century Irish former WWI servicemen who’d fought, often with extraordinary bravery and distinction in the War, were treated with great suspicion or outright hostility, as traitors or “collaborators” following their return home. Imagine what that felt like. Among the Church of Ireland and Dissenter minorities, this was not the case, although such men still had to be discreet about their war service, out and about in the new Ireland. Among their own communities in the South, no stigma existed. The North Transept of Saint Patrick’s Cathedral is effective a shrine to various Irish Regiments over the centuries, including the dead of WWI. Most C.o.I. churches have Great War memorial plaques, commemorating former parishioners, lost to Gallipoli, Flanders or France. Among the Catholic majority tradition, the situation was very different. Their soldiers’ sacrifice was neglected, ignored, or worse. St Mary’s church on Haddington Road is only Catholic church in the capital with a WWI memorial. The only one, among hundreds. 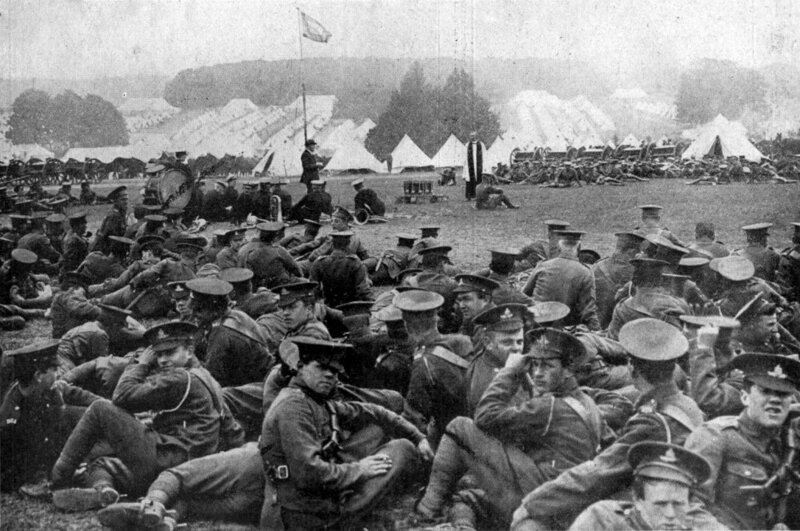 Yet the vast great majority of Irishmen who fought in the Great War were Catholics, proudly Irish and patriotic men, overwhelming if Constitutionally Nationalist in outlook, typically supporters of the Irish Party (Home Rule Party) and often members of the Irish Volunteer force as well, (a Nationalist civilian militia) They would serve in their tens of thousands. Up to 80,000 enlisted in a few months. Up to 320,000 had served by the wars end. Tens of thousands died. Yet after the war, when one Christian Brothers School in the Dun Laoghaire area of south county Dublin was sent a commemoration statue after the Armistice, by a community of grateful Belgian locals who’d known former CBS pupils (this group had died in Flanders, fighting for Belgium sovereignty). The school didn’t know what to do with the statue. Embarrassed by its presence, they eventually gave it to a local convent, who in turn put it, almost hid it, in a small side chapel. Nobody in Christian brothers schools in Ireland of the 1920s wished to remember students who’d fought in the British army. This walk is more of a walk and a discussion than a tour, a guided discussion and/or meditation almost, to honour these long dead men. We’ll meet at the Campanile of Front Square, Trinity College, 1.55pm, with the walk and discussion beginning there at 2pm sharp. Please present your tickets, on arrival prior to the start of the tour. (Ticket detail and links below) The walk will end at 4pm, at 58 South William Street. 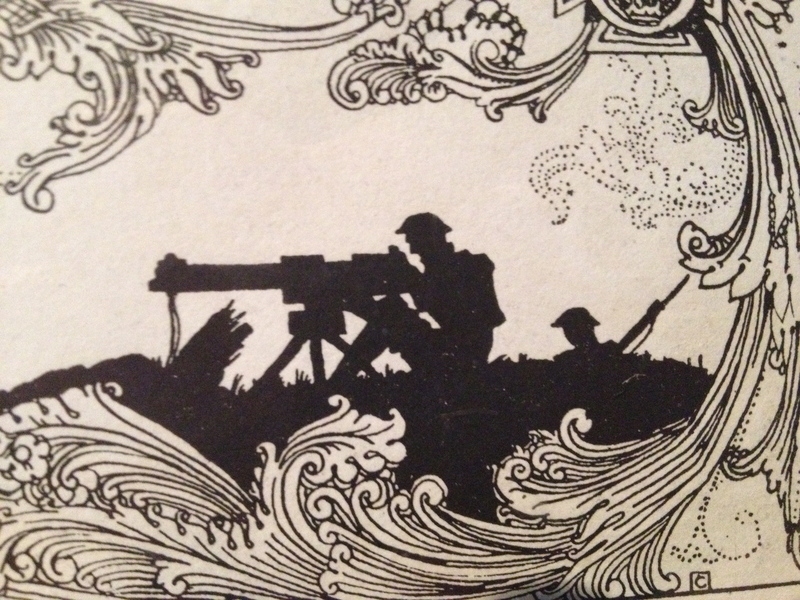 Then at 4.30 is a wonderful event of Music and Words from World War One, a performance of letters, theatre, music and poetry, by the cast of the Bewley’s Cafe Theatre Company. This concert takes place in the Octagon Room of 58, South William Street, a beautiful 18th century octagonal space, and the first purpose-built room, anywhere in Britain or Ireland for the public exhibition of Art. It is possible to but tickets for walk only; for concert only; or a special price joint walk+concert combined ticket. Here are links below to relevant pages on EventBrite For walk only Here. But for tickets to concert/performance-only, or for the combined ticket please link to EventBrite Here. (If you wish to purchase the combined ticket please hit the last, third option on that EventBrite page). Thank you for reading. Perhaps see some of you there. €5 of every walk ticket goes to the Peter McVery Trust, a long time favourite cause of ours who do incredible work supporting families and individuals struggling with insecure housing or those sleeping rough, today’s veterans of the streets. Please share or RT this page if you can, via Twitter, Fb or other media. It makes a difference. Thank you. Suggested Reading: I read a brilliant essay, just yesterday, by an historian called Heather Jones, where she dissects, analyses and considers, in great depth, the entire subject of WWI commemoration historically, from 1919 onwards, especially in the CoI community South of the border, and it s changing meanings (of WWI Comem) through the 20s and 30s and into 1966 (the 50th Aniv of Easter Rising, into the NI Troubles and then into the current era. Thoroughly recommend this essay, was fascinating, a superb piece of work. It can be found in and is part of a collection called “Toward Commemoration”, (1912-23) about our current, on-going “decade of centenaries”. “Toward Commemoration”, Ireland in War and Revolution” 1912-23, Ed John Horne and Edward Madigan. Pub. RIA. April 10, 2015 March 5, 2016 Arran HendersonFirst World War., History, Ireland, Walking Tour, World War One.Dublin Walking Tour, First World War, Ireland in the First World War., Ireland in World War One. So much more tragedy than you ever imagined came out of WWI. Arran unearths a bit more. I’ve been meaning to write and say all week: thanks very much for that re-blog Jane. Your support is always really appreciated. As the first world war generals might have said themselves, it’s great to have an ally in France. Thank you. -Arran. Although not a large memorial, listing multiple names of former parishioners, there is a plaque at the Church of the Holy Name in Ranelagh which remembers some members of the French family who died in WW1. I have come across similar family/individual memorials in Catholic Churches in Killorglin and Nenagh whereas almost every Church of Ireland church as you point out has a memorial. Thank you MM, that’s very interesting. Extremely interesting. Yes, those small family/individual memorials form a separate sub-category I suppose, of remembrance and loss. Very pleased to learn of the ones in Kilorgan and Nenagh, and in nearby Ranelagh. I shall certainly pay a visit there. Thank you very much for your comment, and the extra information. It is much appreciated. I know little enough on the subject but it is sad how many brave lads found themselves isolated and struggling for work in the newly-born Free State. It’s too late for them that attitudes have softened over time. I’ve long had a fascination for Tom Barry who fought on the British side in the Great War and against them during the War of Independence. Yes, you’re dead right Roy, and on both counts. Attitudes have softened considerably, there is far more understanding now on the whole, vastly complex subject. But as you also say, it is too dam late. These wee proud, patriotic Irish men, doing what they honestly thought was right. They never should have been put in that invidious, deeply unfair position in the first place. Not to my way of thinking anyhow. Thanks very much for reading, and for commenting. It’s always appreciated. Previous Post Postcards from Rome. Maps of Rome. Next Post How to Read a Painting, evening tour, Nat Gal Ireland, 6pm 14th April.